Scraps of handwoven blankets have been built into Bars and alternated with lengths of homespun wool. 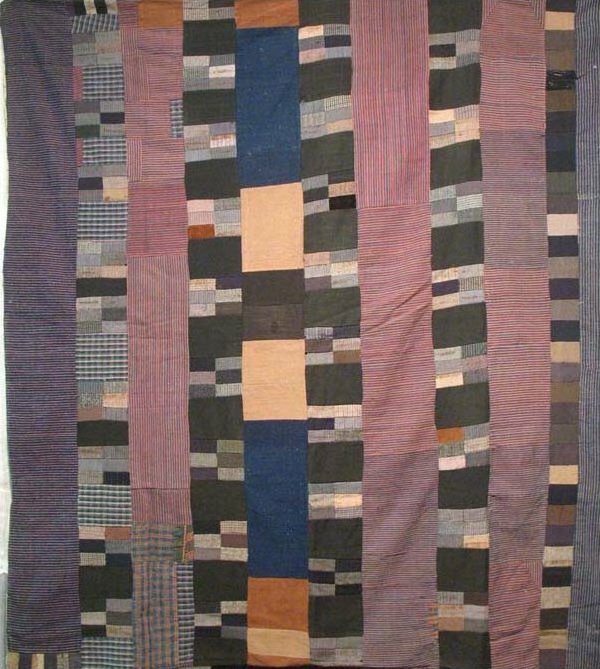 A handsome composition in which the wool retains the wonderful colors of the home-dyed indigo and reds from early 19th c. blankets. Cotton backing; no quilting or filling. Possibly Shenendoah Valley. VA.